With anti-Semitic incidents on the rise in America and Europe, it is imperative that Israel knows who her true friends are. It’s sad and disturbing that anti-Semitism in the West originated with the early church fathers. How could this be? Jews and Christians share a common heritage: both are people of the Book; both our Scriptures confirm the Jews as G-d’s chosen people, whom He loves, and to whom He promised the land of Israel by everlasting covenant to Abraham, Isaac and Jacob, and their descendants. Christian Scripture talks about dividing the sheep from the goats. These foundations of the faith should be no-brainers. Yet a deep divide emerged in Christendom beginning with the First Century church fathers. Its two main issues were the authority and interpretation of the Bible, and God’s love and plan for Israel. It’s an anomaly that the cultural/political church has a history of anti-Semitism—especially mainstream denominations such as Presbyterians, Lutherans, Methodists and others. Cultural, politicized Christianity has spawned “politically correct” positions that conflict with biblical truth. For example, the false doctrine of replacement theology teaches that the church has “replaced” Judaism, that Jews have no future in G-d’s plan, or sovereignty over Israel and Jerusalem; thus all G-d’s promises and blessings have become the church’s exclusive domain. Nothing could be further than the truth. Replacement theologians squirmed in 1948 when the Lord returned the captivity of Zion and Israel was reborn in a day! Here’s a sampling of how poisonous anti-Semitism infiltrated the early church: Justin Martyr, who called Gentile believers the “new” Israel, wrote: “The Jewish Scriptures are no longer yours, they are now ours.” Irenaeus: “The Jews are now disinherited from the grace of God.” Tertullian: “God has rejected the Jews in favor of the Christians.” Eusebius: “The promises of the Hebrew Scriptures are now for the Christians and not the Jews—but the curses are for the Jews.” The Emperor Constantine exhorted separation from the “despicable” Jews. Jerome stooped to degrading terms, later borrowed by the Nazis and Muslims. Augustine’s sermon “Against the Jews” deeply impacted Martin Luther, who advocated setting fire to Jewish synagogues and schools, destroying Jewish homes and prayer books, forbidding rabbis to teach, and confiscating Jews’ cash and treasures. 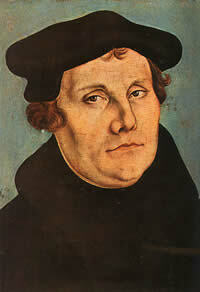 Despite his faith, Luther’s writings inspired the horrors of the Holocaust. Over time, some denominations unabashedly began to subordinate the Bible to political views, as liberal mainstream seminaries taught false doctrines such as replacement and liberation theologies. In the latter, Jesus is seen as liberator of the poor and oppressed. In this worldview, Palestinian suicide bombers blow themselves up only because they’ve been oppressed and historically wronged—remove or restrain their Israeli oppressors and they’ll live in peace—despite being brainwashed from cradle to grave to hate and kill Israelis and other “infidels.” From bitter roots grow poisonous trees. Last year, the Presbyterian Church USA called for BDS based on Israel’s “human rights abuses” and “militarized violence” against Palestinians, without condemning Palestinian terrorism. For these leaders, BDS is justified due to Israel’s alleged violation of Palestinian human rights. Yet they fail to address the PA or Hamas’s violation of human rights of their own people, or Israel’s legitimate need for self-defense. Though liberal seminaries are seedbeds for anti-Semitism, most evangelical Christians study the Bible free of political interference. After all, Christian support for Israel is Biblical, not political. Evangelicals are the largest consistently pro-Israel block in the United States. A Pew Research Center poll found that 82 percent of white evangelicals believe God gave Israel to the Jewish people, compared to less than half as many Jewish or Catholic Americans. The true face of Christendom is the tens of millions of evangelicals who demonstrate their love for Israel with no hidden agendas, believe G-d gave Israel to the Jewish people, respect and obey the Bible as the ultimate written authority, and know that G-d always keeps His promises. How can any true Christian love Christ but not love His family and His land?